Casa del Rio which in Spanish means “home by the river” is one of the nicest places to stay at, if you’re spending the weekend in Malacca/Melaka. 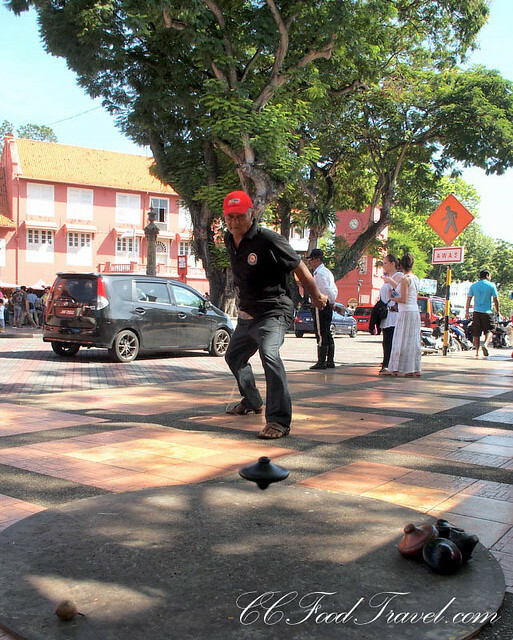 The small city-state of Melaka itself, is packed when visitors flock to its historic port city, only to find themselves immersed in a multicultural world of heritage architecture and the alluring aromas of distinctive local peranakan cuisine. 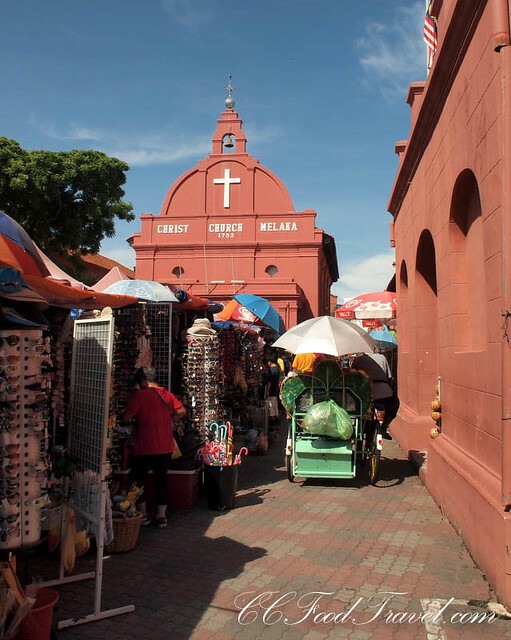 Under the Melaka sultanates, the city used to be the trade center between China, India, Siam (Thailand) and Indonesia, owing to its strategic position on the Straits of Melaka. 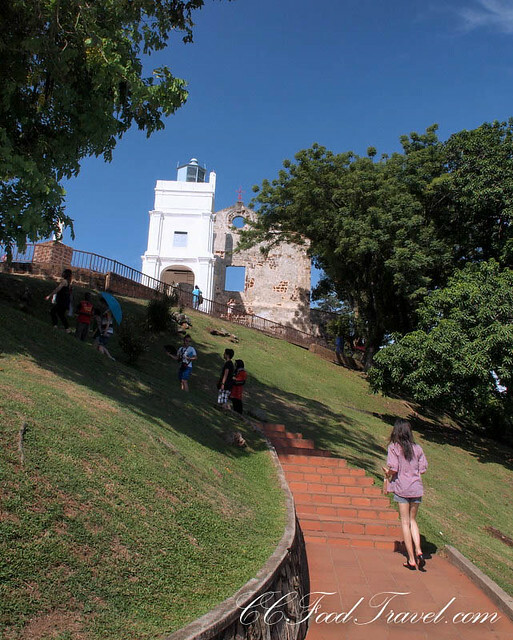 Due to this multicultural heritage, loads of museums and assorted cultural attractions exist and Melaka is a tourist haven that’s thriving with visitors all year round. We check into our room at Casa del Rio and were pleasantly surprised by the view. 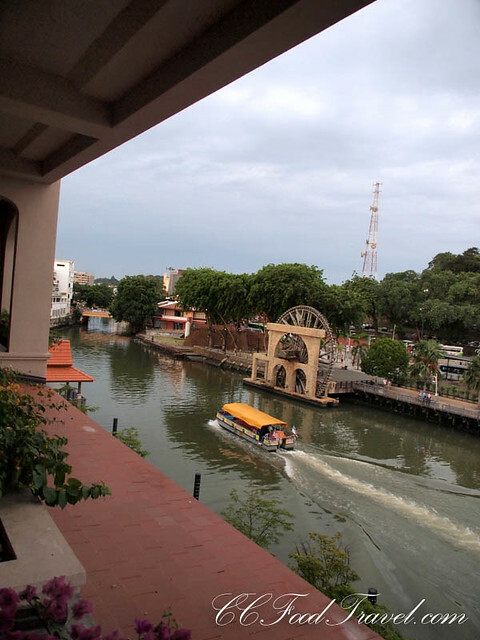 We had a cosy balcony, which overlooked the riverbank of the historic Malacca river – the perfect place for me to sit and do some work. With the zippy wifi, this quickly became my favorite writing spot. 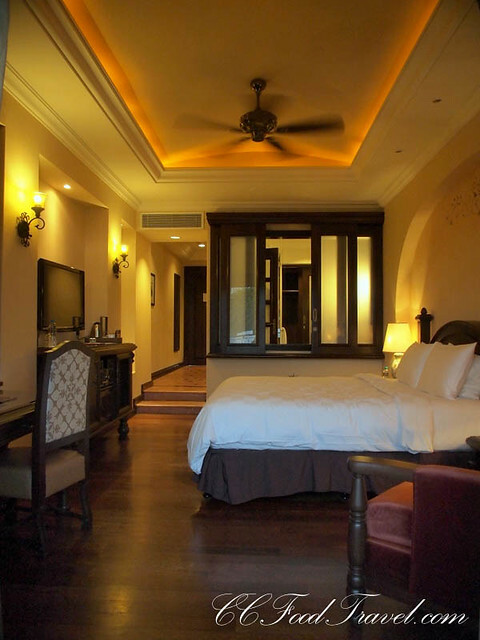 At Casa del Rio the rooms are beautifully decorated and designed, blending Mediterranean styles with Peranakan touches (Baba Nyonya ‘Straits-Chinese’). They come fully decked with high-speed Internet access, iPod docking stations etc. so it was all very well equipped. I loved the spacious bathroom and the all essential long bath – a nice relaxing soak for couples after walking around and discovering the backlanes of melaka. 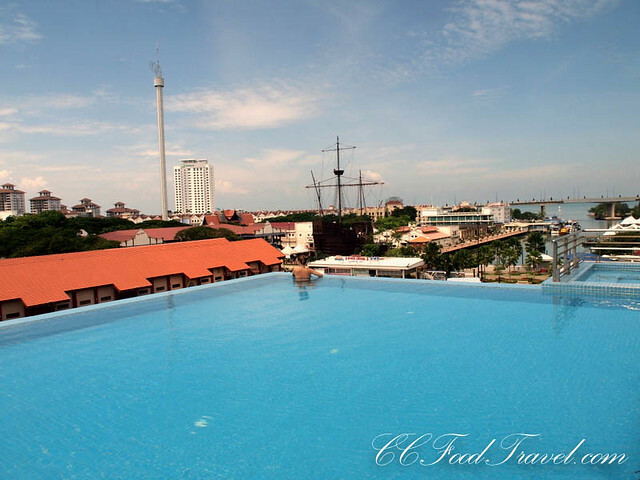 The hotel’s architecture pays tribute to the many international cultures that have influenced Melaka, principally those of the early Arabic traders, the Portuguese and the Dutch. The warm colours of magenta, yellow and ochre over terra cotta, against old wrought iron railings and ornamental lighting provided a warm touch of the Mediterranean. 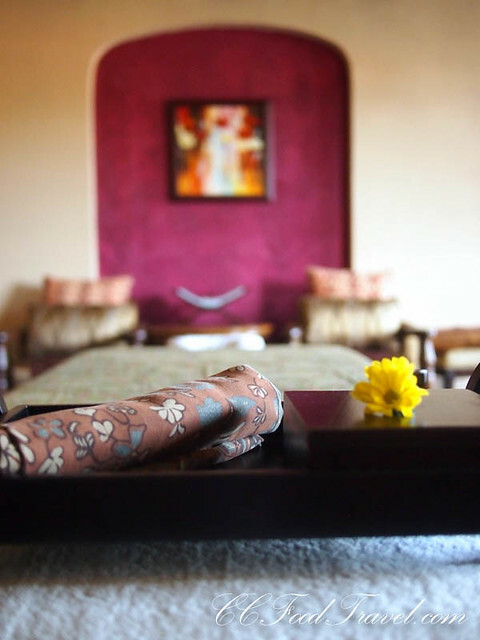 Other facilities at Casa del Rio include a roof top infinity swimming pool, a snug gym and the luxurious Satkara spa. At the Satkara Spa, I tried out the 1 hour Satkara Signature Massage, which was a good choice for a relaxation treatment, for tired limbs. Derived from traditional massage techniques from around the globe, i.e. a fusion of Shiatsu, Lomi Lomi, Swedish, Thai and Balinese techniques, I found it hard to believe that you could actually merge that many techniques into one. 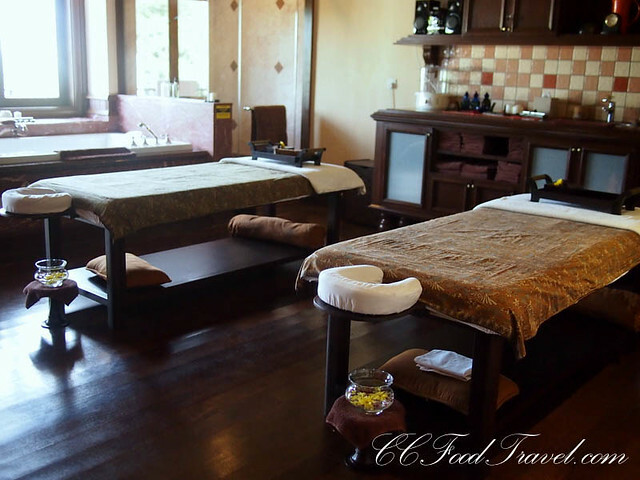 Ultimately it was more like a Balinese style massage. I asked for hard/deep pressure and the masseuse happily complied. I could feel the tired aches leaving my body, as she stretched and loosened my tight muscles and relieved stress and tension. Dining at Casa del Rio was an interesting experience. 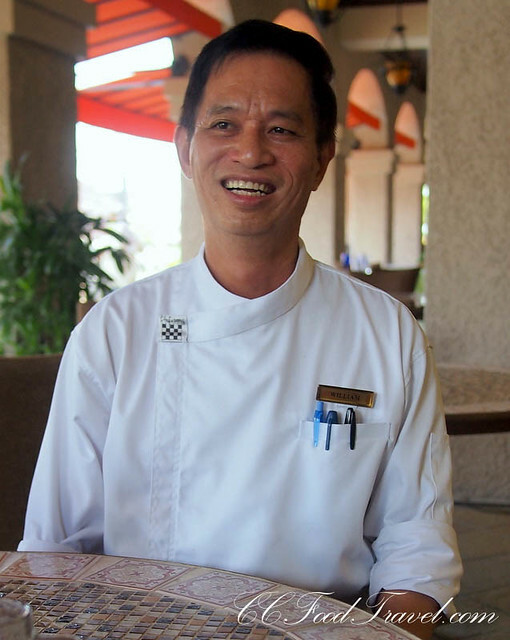 Helmed by Executive Chef Allan Ho Wei Chong, you can choose to dine at any one of its riverside outlets – the Bar Rio, River Cafe and the River Grill. 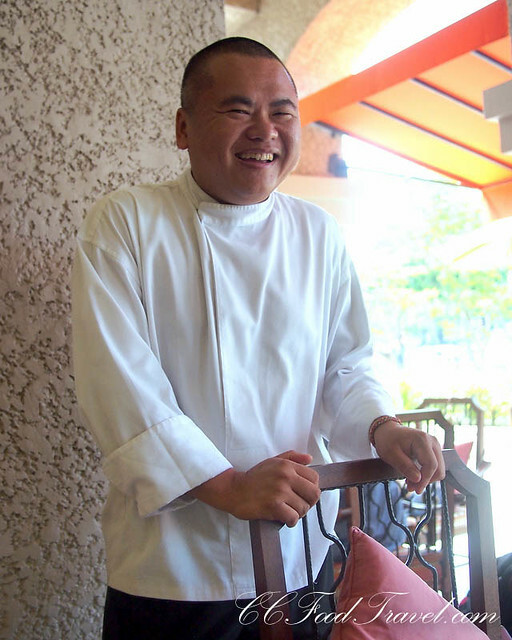 Chef Ho began his 23 years career working in kitchens of Singapore’s cafes, restaurants and hotels. He trained in French, Italian and Mediterranean cuisines and also has a profound knowledge of Southeast Asian cooking. Work assignments have taken him to exotic cities like Lyon, Istanbul, Riyadh, Yangon, Myanmar, Cambodia, Pattaya and Hoi An in Vietnam. Now, Chef Ho’s philosophy of keeping each dish simple, yet focusing on fresh ingredients is what makes his formula in the kitchen successful. We checked out the F & B outlets at the hotel. Bar Rio is a great place for pre-dinner cocktails. We had several of these, and they were great pre-dinner appetite stimulants. 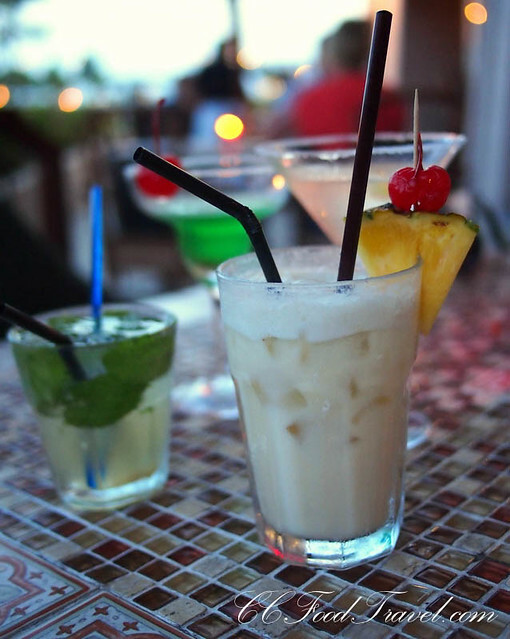 I liked the fact that Bar Rio used fresh coconut cream for the pina colada, and they also used cachaca rum in the mojito. 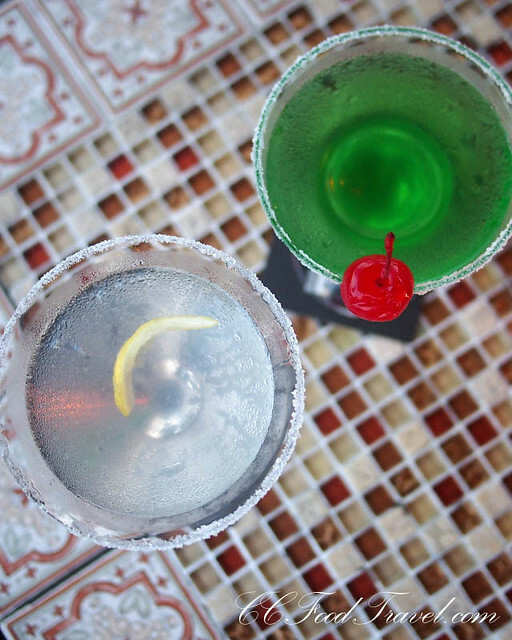 Two very important points (to us) in making good cocktails. Bar Rio also offered beers on tap, a full range of boutique beers and wines, as well as a menu of local and international tapas dishes. There was also live entertainment during the weekends. The River Café is where we had our breakfast and lunch. We were really impressed with the quality of the eggs and food in general. I hate places where we get served eggs that taste like cardboard. Too many China engineered eggs circulating these days. Fortunately for us and for the hotel, Chef Ho is really a huge advocate of using local produce whenever he can, which is great. From the eggs, to the prawns and snapper, all the produce comes from Malaysia. 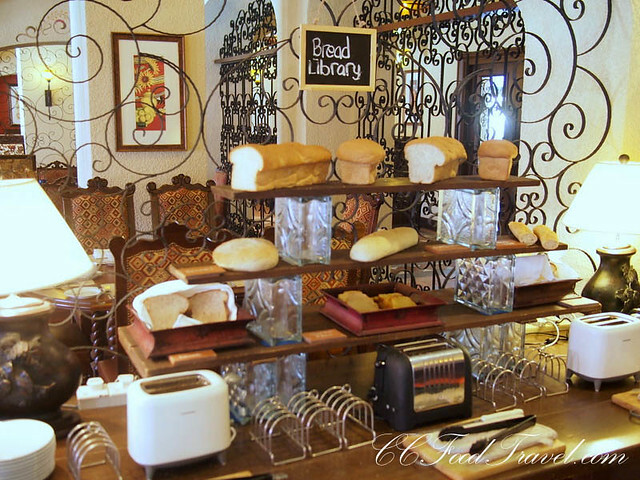 The baked breads here are also really tasty. Not nasty gardenia but properly baked breads! 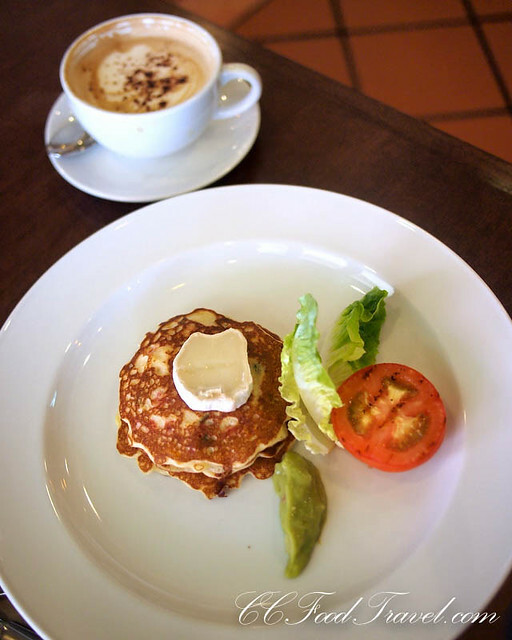 pancakes and goats cheese – interesting creation! 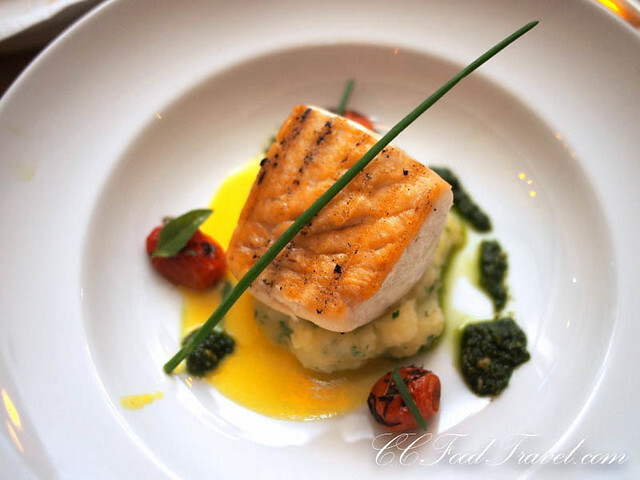 The River Grill is the outlet of choice for fine-diners – Chef Allan, cooked a fantastic dinner spread for us one night complete with wine pairing. It was very impressive especially since the chef sources most of his seafood from the straits of Melaka. 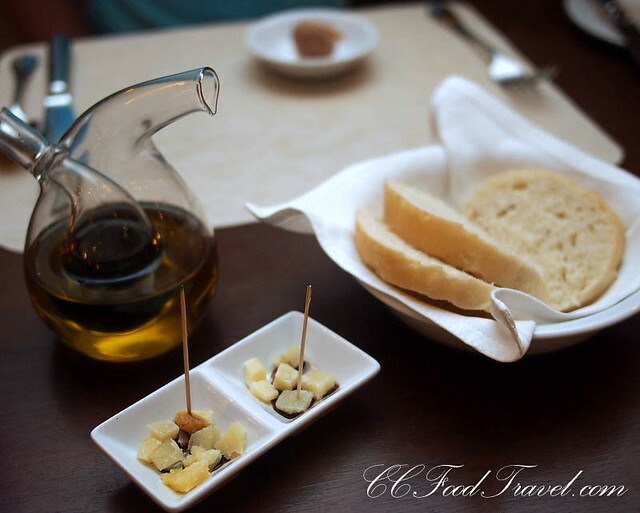 Our dinners starts off with bread and chedder cheese in balsamic dip. 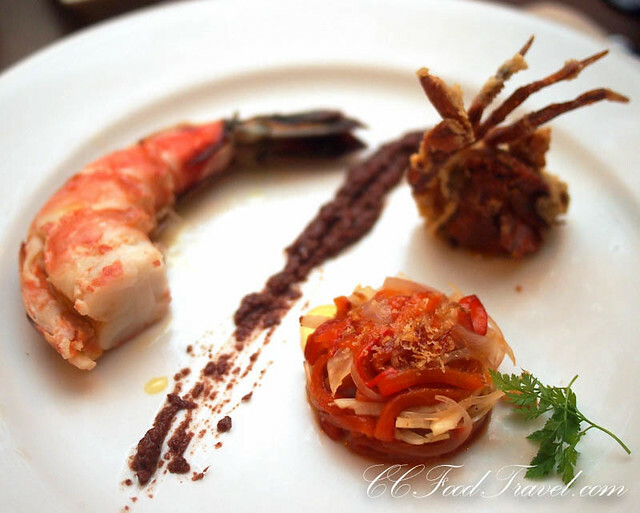 starter of prawns, soft shell crabs and olive tapenade… delicious! 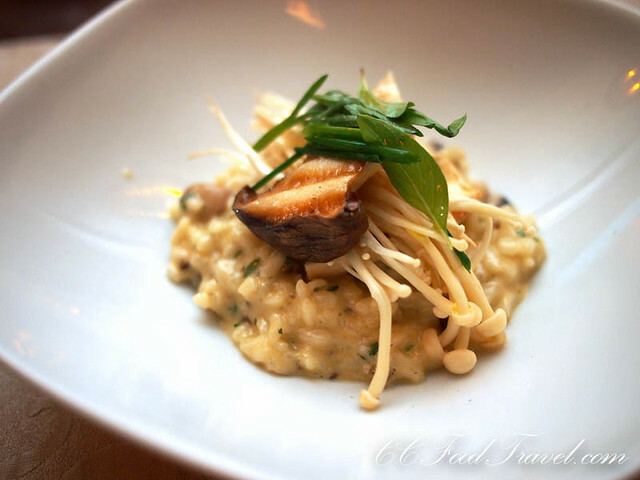 a creamy and smooth mushroom risotto that was cooked al dente had us gasping in appreciation for how well it was cooked..
grilled snapper served on a bed of mashed potatoes with a coriander sauce – flaky and succulent, this was my favourite course of the night. 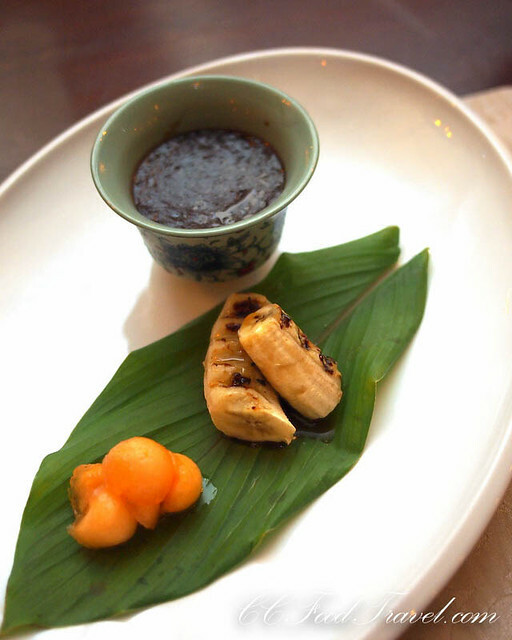 Right now there is also a Peranakan “Tingkat” Set Lunch on offer, by Chef Baba William. Chef William hails from Batu Berendam, Melaka and has been cooking professionally at various nyonya restaurants for the past 36 years. His grandparents are Baba and Nyonya and at a young age, he spent a lot of time helping the family in the kitchen. 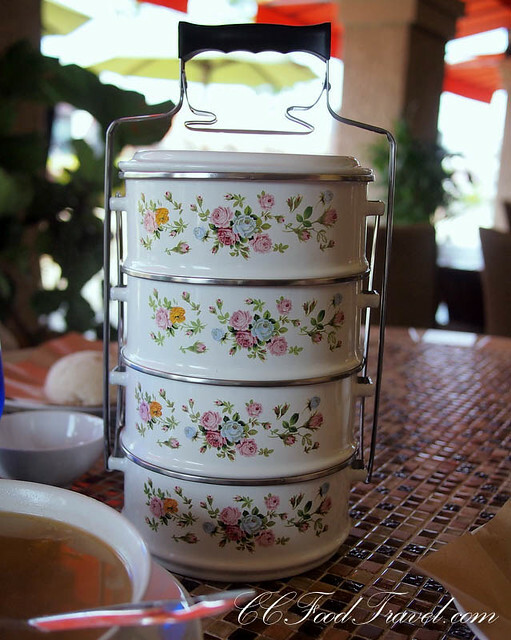 His specialty and must try at the Casa Del Rio is authentic nyonya home recipes. 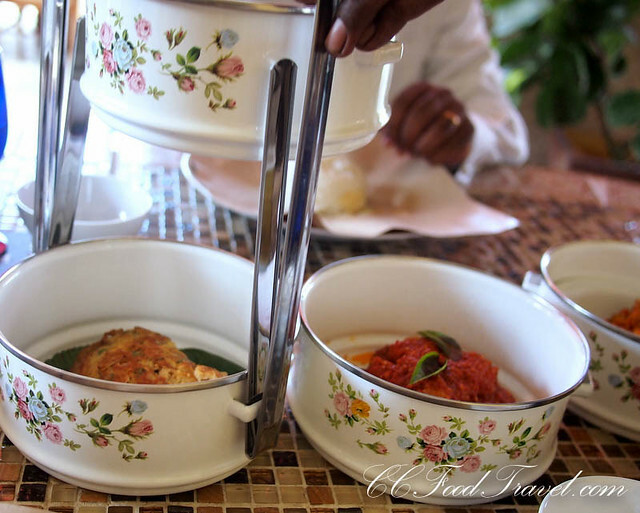 Every lunch, from Monday to Saturday, Chef Baba William and team will feature different sets of dishes served in gorgeous enamel tiffin carriers, reminisce of the days of yore. Each set of menu will rotate daily and includes the likes of nyonya achar, kerabu ong lai timun (pineapple and cucumber), kerabu pucuk paku, kerabu mango squid/chicken, kerabu soo hoon and more. 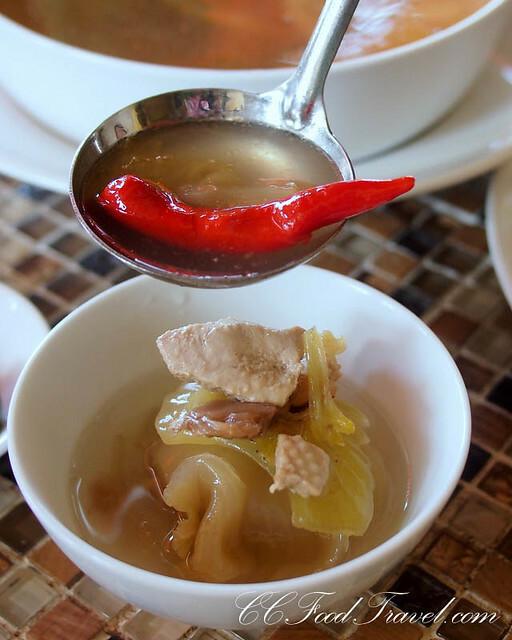 For some heart and belly warming dishes, choose from hee peow (fish maw) soup or tauhu fish ball vegetable soup. 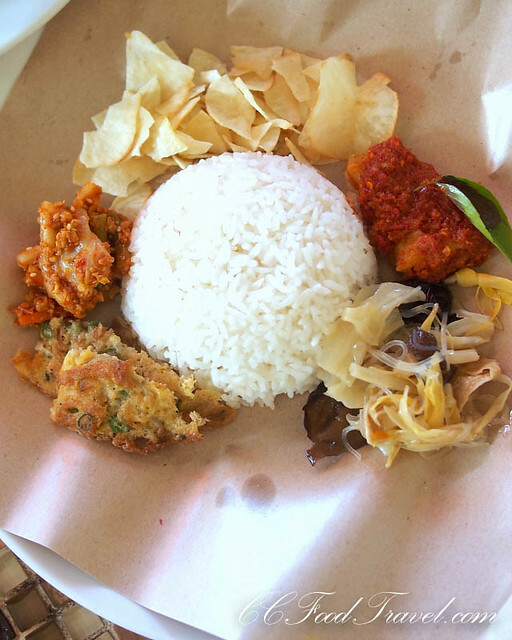 Other choices include, kuah lada steamed fish, gerang asam steamed fish, deep-fried achar fish, deep-fried nyonya fish, udang goreng assam, garam chilli prawns, fried rempah chicken, nyonya itik sio, chicken curry and tasty beef rendang or chicken. It is hard to resist taking more and more helpings of the food (especially the cincalok omelette and the dry assam fish). Peranakan food is such a big appetite stimulant. It is a good thing that the portions are generous! Lotus root with petai belacan, four emperor vegetable with belacan, terung tempra nyonya style, peria sumbat masak lemak are amongst the popular vegetables dishes. 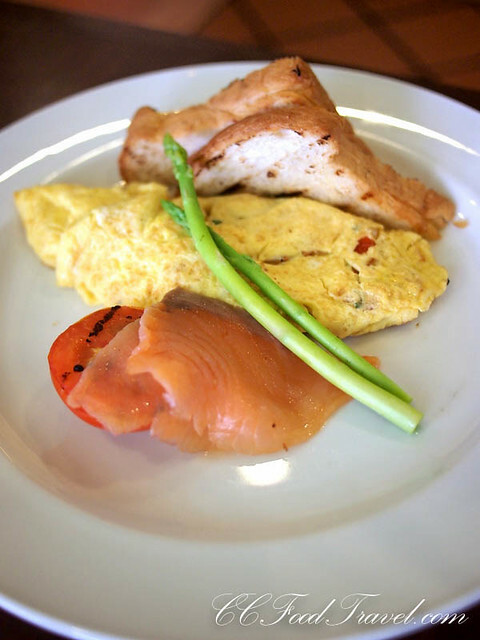 Must-try are also the variations of omelette cooked with petai, chai poh (pickled radish) and healthy tauhu dishes like stuffed tauhu with chilli teochew style and tauhu teochew. 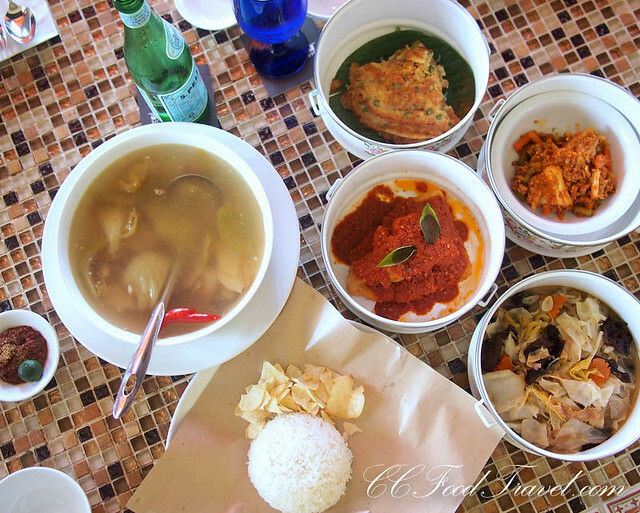 This Peranakan “Tingkat” Set Lunch starts from 10 May 2013, 12 noon – 4.00pm (Monday – Saturday) and is priced at RM28++ per person. I don’t think you can get these sort of prices in KL, for outstanding peranakan dishes like these. 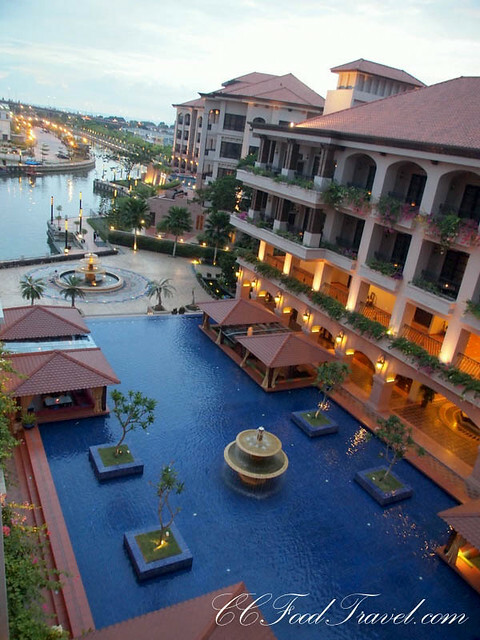 Once you stroll around the grounds you will see why Casa del Rio is actually situated on prime land, as the hotel is located within a stroll of the famous Jonker Street/Walk, heritage buildings, night markets, street lanes with hidden food stalls, and even a drinking strip, for those who like the nightlife. 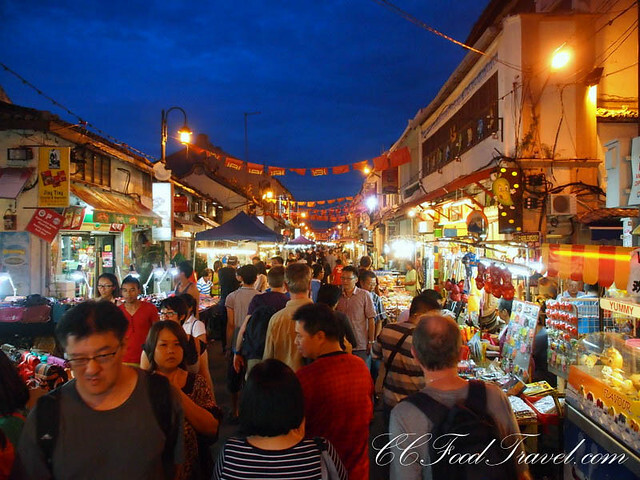 Jonker Walk located on Jalan Hang Jebat as is commonly known, is a street in historical Chinatown of Melaka starting just across the river from the Dutch Square. 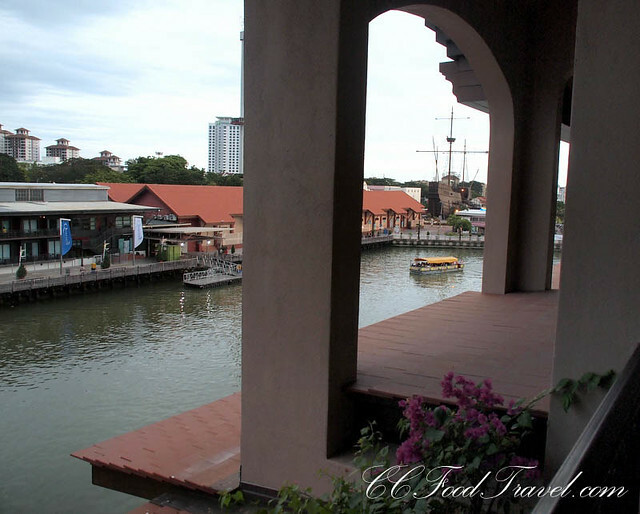 Jonker Walk is flanked on both sides of the road with heritage houses dating back up to the 17th century. 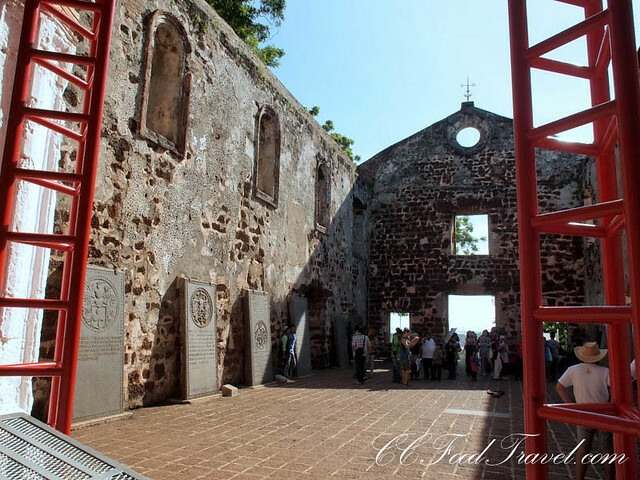 At that time, rich Baba Nonyas (also known as Perankans, descendents of 15th – 16th century Chinese immigrants marrying local Malay women) lived and traded here. 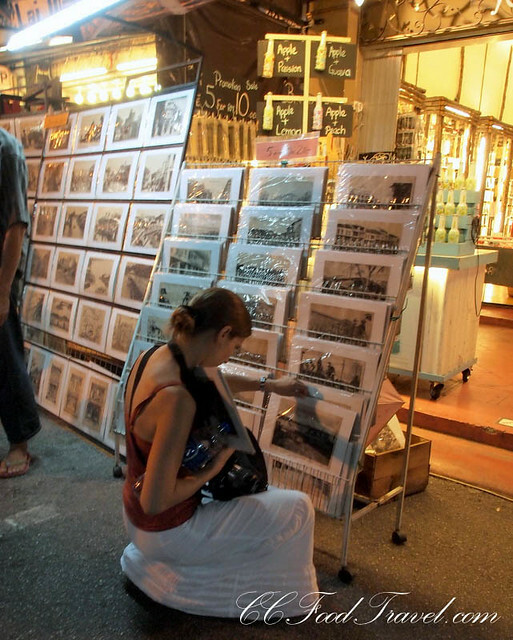 Today, the street houses many shops selling antiques, textiles, handicrafts and souvenirs. On the weekends, starting Friday night at 6pm, the road is closed off for traffic and turns into a very crowded night market. The list of heritage sites near this hotel includes Jonker Walk, the mosques (especially the one in Kampung Hulu), Hindu and Buddhist temples, the Admiral Cheng Ho Cultural Museum, A Famosa and St Paul’s Hill (which originally was the site of the palace of Prince Parameswara who founded Melaka in the 15th Century), the Royal Museum, Baba Nyonya Heritage Museum, the Stadthuys, St Peter’s Cathedral and the world-famous Portuguese Settlement where you can sample authentic Portugese cuisine. 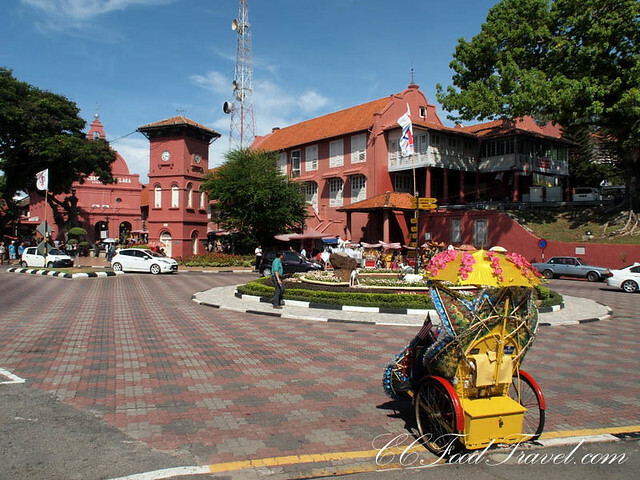 Christ church melaka in the background and the famous Melaka trishaw in the foreground.. It was a great weekend away in Melaka for us. 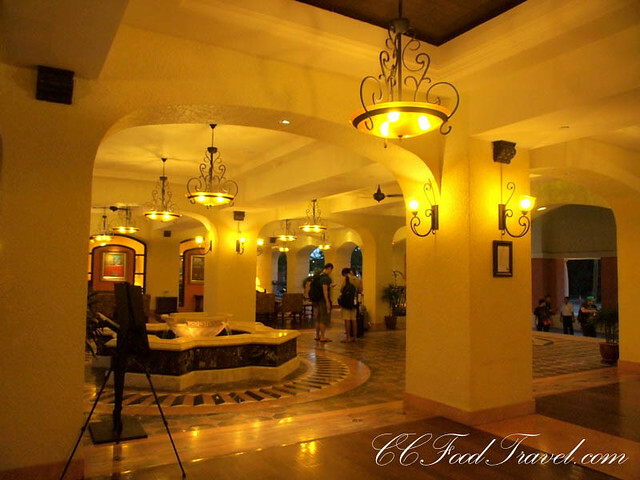 Casa del Rio will be our hotel of choice if we ever return, that’s for sure! We visited the Casa Del Rio and had a look at their rooms – I wish we’d stayed there now, if only for the breakfasts! As the other commenter said though, the prices are a bit rich. 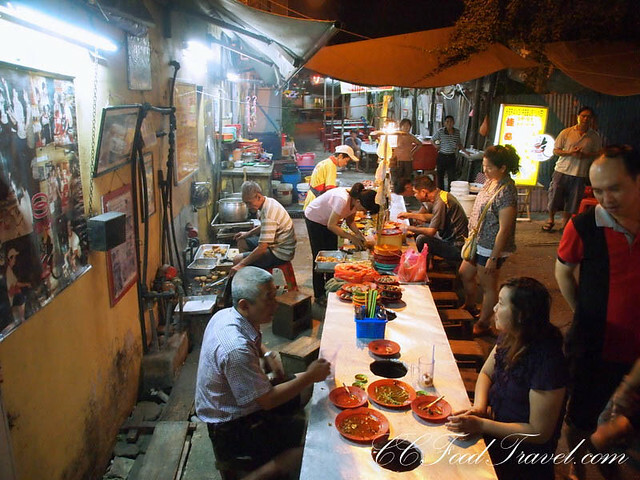 One of the best spots in Malacca town though, and great service and food to boot. Hard to find in Melaka. I know.. Does feel comfortable enough to be your own room really! Venice in Malacca! I like!! !